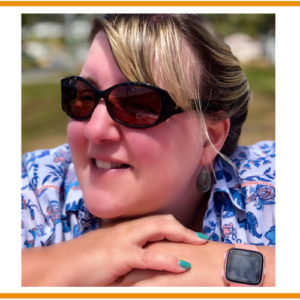 Visiting the Kelpies in Scotland had been on my bucket list for a while before I eventually managed to make the trip to see them. After seeing a picture of the stunning sculptures on TV I knew I had to see them. 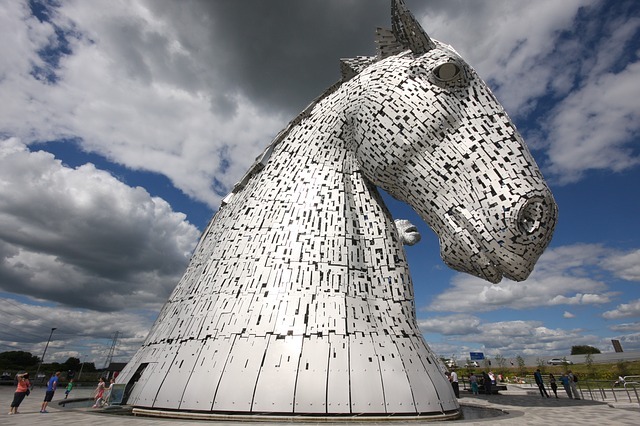 If you are planning a trip to Scotland I would recommend adding a visit to the Kelpies in Falkirk to your itinerary. They are an easy trip by train from either Edinburgh or Glasgow too. If you need some inspiration for your Scottish itinerary this weekend guide to Edinburgh is a great starting point. 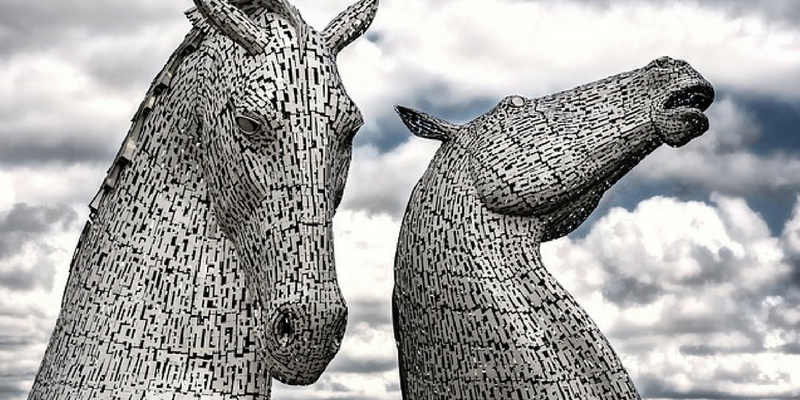 Here are 5 reasons you will love visiting the Kelpies in Scotland! The Kelpies also pay tribute to the working horses of Central Scotland and they are for me the most amazing sculptures I have ever seen. They are so incredibly impressive. 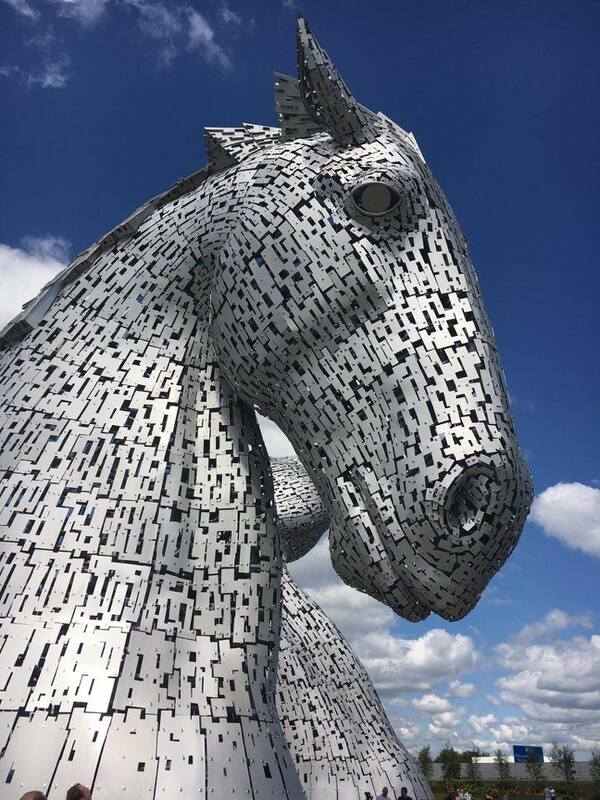 At over 30 metres tall and weighing over 600 tonnes these beautiful sculptures by Andy Scott completed in October 2013 will dwarf you! YOU CAN STAND INSIDE THEM! There is a guided tour available which costs (as quoted on the brochure June 2018) £7.50 for adults and free for children. This lasts 45 minutes and you are able to experience the sculptures from the inside! 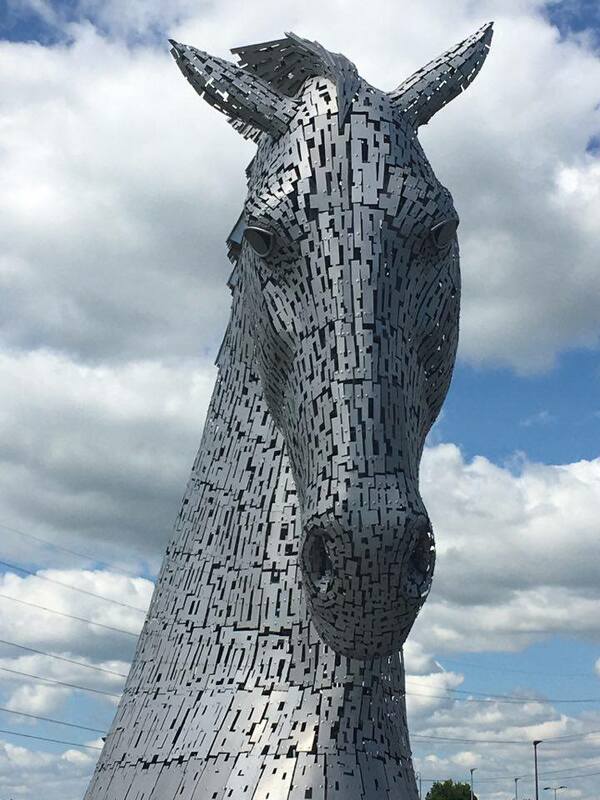 The Kelpies are found in the Helix Park. 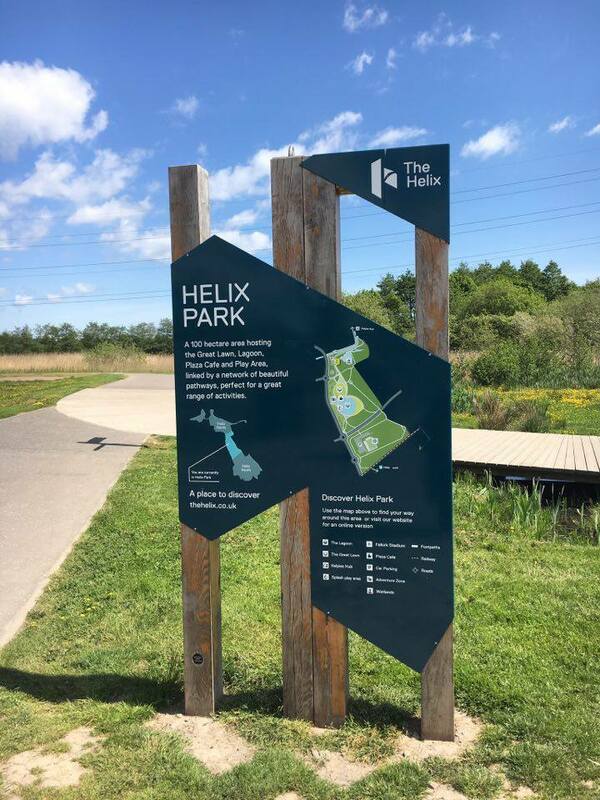 This is a land transformation project aimed at improving connections between and around 16 communities in Falkirk. Also in the area is the Falkirk wheel which is a rotating boat lift which opened in 2002. It connects the Forth and Clyde Canal with the Union Canal. 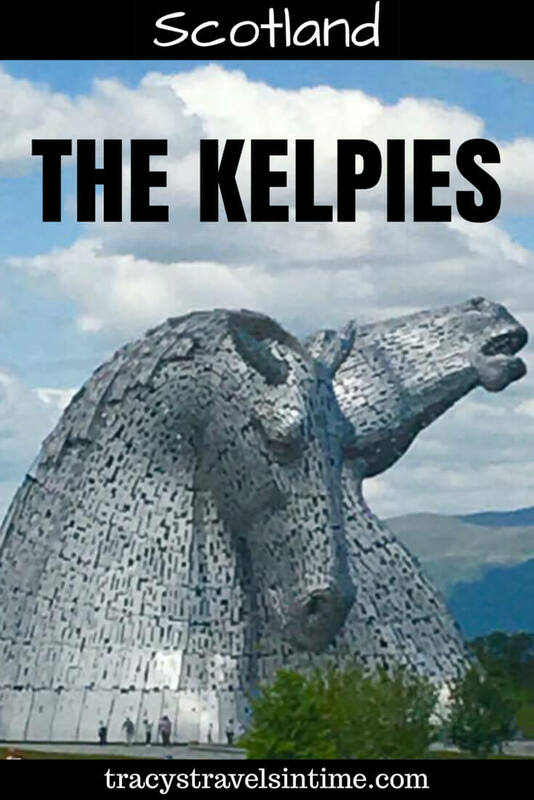 Where are the Kelpies located? 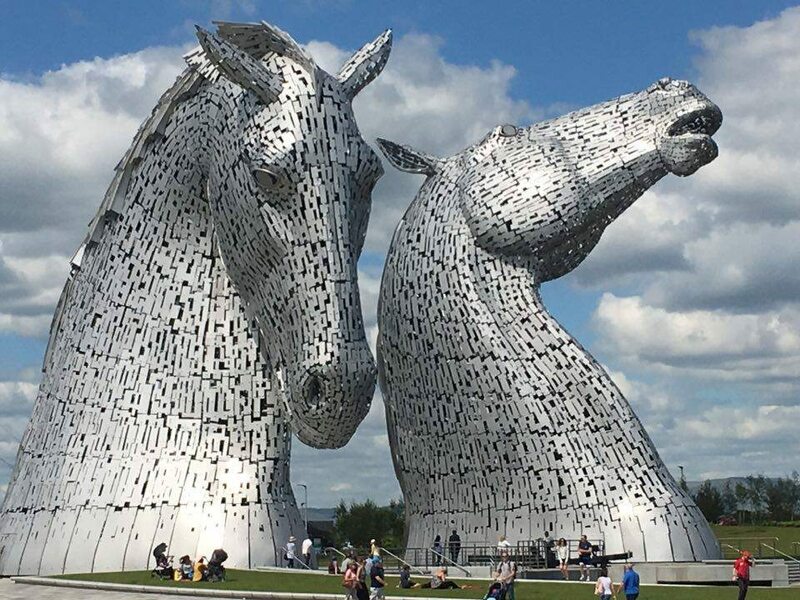 The Kelpies are located off the M9 in Falkirk – 19 miles from Edinburgh and 35 miles from Glasgow. 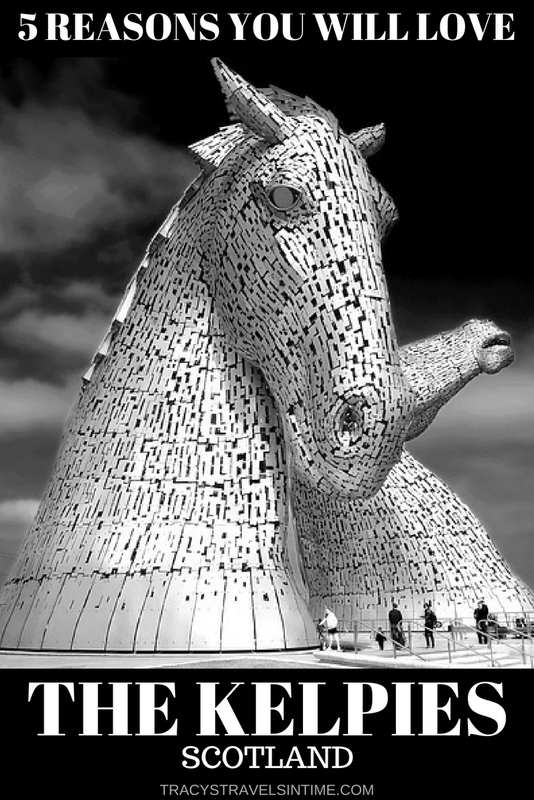 Detailed instructions can be found on the official site – The Kelpies. We travelled by train to Falkirk from Edinburgh and alighted the train at Falkirk High. 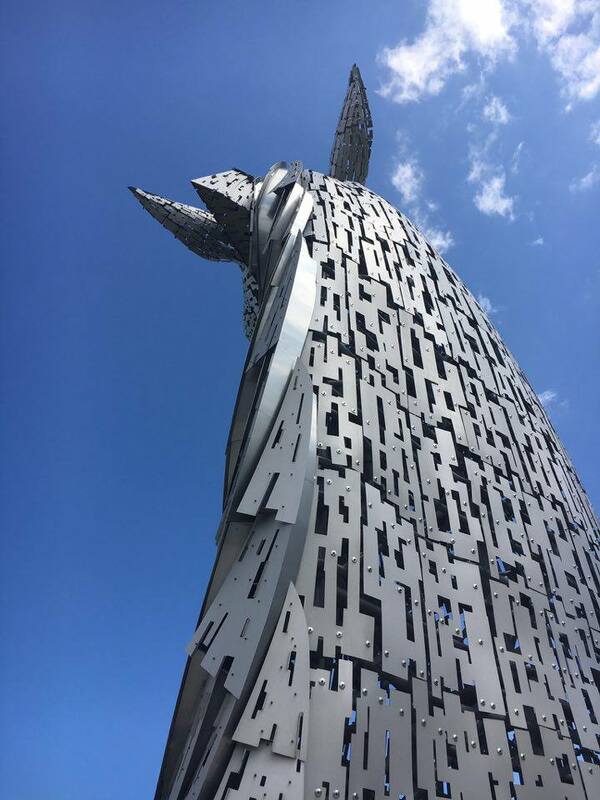 There is normally a bus that runs from the train station to Helix park where the Kelpies can be found. On the day we arrived there were roadworks underway and the bus was cancelled. We decided to walk as it was a beautiful day when we arrived in Falkirk. If you do decide to walk it is a fairly long walk make sure you have a map. The walk took us over an hour and we seriously thought we were never going to find them! If you love castles there are so many to see in Scotland to add you your itinerary. Check out this selection of the 15 best castles in Scotland to visit. 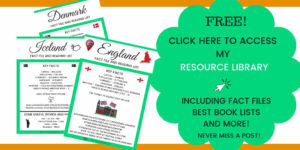 If you are still in the planning stage here are some ideas to help you put together a 7 day itinerary for Scotland.